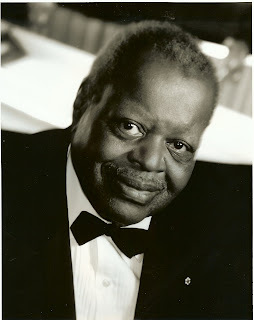 Since I was old enough to recognize that jazz pulled at me like no other music, I was a fan of Oscar Peterson. My father introduced me to Peterson when I was in my teens. I first heard him live at Jazz at Ravinia (outside of Chicago) in the late 1980s or early 90s, and I had the opportunity to see him perform twice in the Twin Cities, including his last visit in 2005. I own over 60 of his recordings, which is actually but a small sampling of his total discography. When I first heard his “Love Ballad” I thought I was hearing a magical improvisation on a Mendelssohn theme, not realizing until later that this was one of Oscar’s most beloved original compositions. Peterson died last night at his home near Toronto, where the Montreal native had lived for over 50 years. He never succumbed to the gravitational pull of New York despite his early affiliation with the Norman Granz “Jazz at the Philharmonic” concert series or his numerous recording dates at major label studios. He remained true to his Canadian roots as well as to his approach to music until the end. As recently as November, despite recent health problems, Oscar had returned to writing his electronic journal, assuring fans that he was “back” and eager to maintain his relationship with his audience. Peterson was a survivor. He survived an impoverished childhood, the son of a train porter who encouraged his five children to pursue music as a means of escaping poverty. He survived a variety of barriers reflecting American racism. He survived the bop, cool and fusion eras without compromising his own style. He survived a serious stroke in 1993 that weakened his left hand but not his musical spirit. Over the past decade or more, he also survived the physical challenges of severe arthritis, continuing to perform and tour through early 2007. But it is the longevity of his talent that is most impressive. More modern in his approach than the swing-era pianists he most admired—particularly Art Tatum and Nat “King” Cole, yet more joyful and swinging than the bop-era pianists to whom he was sometimes unfavorably compared, Peterson ultimately became the one of the most influential pianists of his generation, and is often cited by young stars today as an early and significant source of inspiration. Why is Peterson’s appeal so universal? First, the music swings so hard you can’t help but tap your feet. Oscar put the movement in “rhythm.” Second, be it a standard or original tune, the tune is paramount. A melody that might be easily forgotten in the hands of another musician would become a classic in Oscar’s hands. His own melodies—“Tenderly,” “You Look Good to Me,” and of course “Love Ballad”― simply “make you want to sing” as Ella Fitzgerald once said of her long-term collaborator. And despite his star status, Oscar led his trios and quartets as a true collaborator, giving his bandmates plenty of space to reveal their musical personalities while developing a distinctive ensemble sound. And that sound was so lush, so celestial, so powerful that you often forgot that only a formidable technique could sustain it. Oscar made it seem so effortless. The music just flowed from his fingertips. In 1996, Peterson told an interviewer that “There's an extreme joy I get in playing that I've never been able to explain. I can only transmit it through the playing; I can't put it into words." Neither can I, but I hear that joy whenever I spin an OP recording, be it his early “songbooks” or his final original release, Trail of Dreams. His rich and extensive discography ensures us that the trail will never end. A few years ago I attended my first evening with Soul Café. 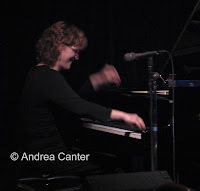 I probably would have paid little attention to a Sunday night concert at the Hennepin Avenue United Methodist Church in Loring Park, but the jazz trio included pianist Laura Caviani and the flyer indicated that the music would be combined with poetry. I figured it would be worthwhile for the piano alone. I’ve been a faithful follower of Soul Café ever since, “faithful” in the secular sense. While the supporting venue since the ensemble’s debut has been the church, the programs offer eclectic combinations of jazz and poetry, feeding the spirit and soul, certainly, but in a thoroughly ecumenical, open-to-all atmosphere. Intrigued by the whole idea, I spent some time interviewing the musicians and posting articles on Jazz Police (see http://www.jazzpolice.com/content/view/4895/53/ for a fairly comprehensive article about Soul Café), and attend their monthly offering as often as I can. Through Soul Café, I first encountered the poetry of Pablo Neruda, Donald Hall and Jane Kenyon. 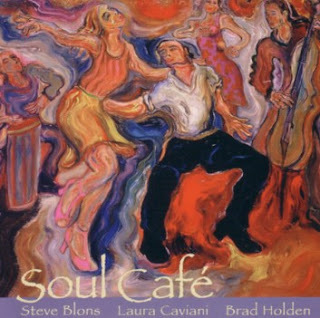 And through Soul Café also first encountered the marvelous music of alto saxophonist Brad Holden and guitarist/leader Steve Blons, who when joined with Caviani create harmonies that soar. There’s always a theme or juxtaposition of composer and poet—merging Rogers & Hart with Neruda, Beat poets and Thelonious Monk, e.e. 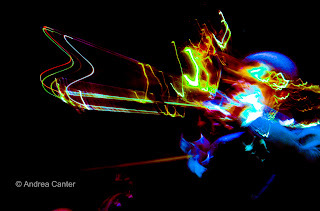 cummings and Wayne Shorter, themes of Light and Darkness. Sometimes the poets are local children reading from their own works; and often there is a guest musician or accomplished poet. Tonight, a few days before the winter solstice, the theme was “A Little Night Music”; the poet a Methodist cleric named Jan Richardson who writes about loneliness, loss and faith. The music was more upbeat while still honoring the theme— “A Night in Tunisia” (rarely played by such a small ensemble but perhaps the trio format allows the listener to focus more on the melodies and structure? ); “Monk’s Dream” (no Caviani set is complete without Monk); “Night and Day” (the darkness lifted by a samba rhythm), “Autumn in New York” (gilded by Brad Holden’s alto sax weaving in and out with Steve Blon’s guitar chords); “Stella by Starlight” (deconstructed to the degree that I never figured it out); and a closing, delightfully obtuse “Silent Night” (complete with a straight final verse of community sing-along). Jazz and poetry have enjoyed a long association, from the presentations of the late Steve Lacy to Fred Hersch’s Leaves of Grass project to Patricia Barber’s recent reinvention of Ovid’s Metamorphoses (on Mythologies), and locally from Prudence Johnson’s Millay Project to the weekly open poetry night at St. Paul’s Artists Quarter. The intersection of jazz and literature is the subject of at least one journal (Brilliant Corners) and a number of books, including several by Brilliant Corners’ editor Sascha Feinstein. Feinstein edited the recently released Ask Me Now: Conversations on Jazz and Literature (Indiana University Press, 2007) and authored a collection of jazz-themed poetry, Misterioso (Copper Canyon Press, 2000). Like Laura Caviani, it seems Feinstein can not help but connect the music of Thelonious Monk to poetry…. which, with its emphasis on time and cadence in a context of free expression, indeed seems to be the literary equivalent of jazz. You can experience Soul Café throughout much of the year, on the third Sunday of the month at 7 pm at the Hennepin Avenue Methodist Church on Groveland (in Loring Park near the Hennepin/I-94 exit). You can also enjoy two recordings of their efforts, Soul Café and Jazz & Poetry. Jazz does not require a dark club setting to be sophisticated and cool. For example, you can hear great jazz in a small Japanese hotel in Manhattan, the Kitano. With room for 35, the performance space adjacent to the bar allows for the most intimate relationship between performer and audience, as well as a side of sushi. Here in the Twin Cities we have our own unique spaces. On Friday night, we heard a fusion of jazz and poetry in a space that normally serves the Minnesota Opera Company. 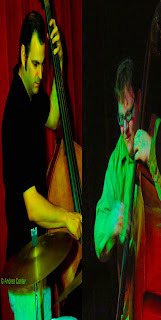 The MOC and Jeremy Walker’s Jazz Is Now project joined forces to cosponsor one of the more unique ensembles in jazz, Matt Wilson’s Carl Sandburg Project. About five years ago, Wilson’s quartet was one of the headliners at the short-lived Brilliant Corners, the experiment in small club jazz headed by Walker, who has since lived from grant to grant in trying to keep Jazz Is Now afloat. The Sandburg Project marked the beginning of JIN’s revival as a purveyor of original and experimental music; its Nownet (so called as it will sometimes be a Nonet, but you never know…) will return to public performance next fall. The MOC stage in the lower level of a warehouse district building proved to be a fine match to the compositions of one of the most creative percussionists in modern music. The lighting was bright enough to allow the audience to watch Wilson’s impromptu choreography and gleeful expressions when the ensemble sound pleased him, which was often. The sound was surprisingly clear and well differentiated considering this was, after all, a warehouse basement. The tones emanating from Ben Allison’s bass—first turned toward the back wall, later perpendicular to the front of the stage as he essentially straddled his instrument as if mounting a bicycle—resonated with the mood of the Carl Sandburg poem of the moment, liquid as “Soup,” ethereal as “Fog.” Dawn Thomson played guitar and added an interesting, sometimes compelling layer of vocals. And no matter where Jeff Lederer took his sax or clarinet, in staccato honks or anguished moans or soaring spirals, not a note was lost to underground acoustics. We heard it all. But visually and aurally, the most fascinating musician was Matt Wilson, a shirttail relative of Sandburg and fellow small town Illinois native. Attracted to the words and cadence of Sandburg’s poetry, Wilson created his own poetry of sound and motion, using not only arms and legs as do most jazz drummers, but elbows and fingertips as well, and facial expressions that seemed to coax additional layers of crackle and pop. He doesn’t limit the hi-hat to opening and closing—he makes the whole apparatus vibrate. I’ve seen him put his foot on top of the snare but not tonight. All together, the Carl Sandburg Project honored the poet by conjuring both the hustle of urban life and the slower moving rustic charm of Mid-America. That they did so using the jazz idiom on an Opera Company stage in a warehouse setting is unquestionably American, undeniably Matt Wilson, and surely blessed by Sandburg himself. Humans tend to reject the unfamiliar, at least on the first go-round. I detested single malt scotch. I cringed at the idea of sushi. And after one listen I took a Cecil Taylor recording to the used music store. I still dislike single malt scotch but sushi is now a regular part of my diet. (If only I could coordinate chop sticks!) And while I have not embraced the music of Cecil Taylor, I have started to accumulate a collection of what would have been defined as “avant garde” music a few decades ago (1960s Coltrane, Sonny Rollins, Ornette Coleman, Eric Dolphy); periodically I attend live sessions of artists like Tim Berne, Anthony Braxton, Jim Ryan, and hometown genre stretchers Fat Kid Wednesday and Happy Apple. 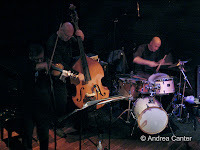 I even reviewed (positively) Craig Taborn’s Junk Magic. In Kelly Rossum’s Jazz 101 class, we spent a session recently on the Avant Garde. Just how avant is this music today? Even Beethoven was criticized for his “ultra modern” orchestrations when first published. Our parents shuddered at the new rock ‘n roll sounds of The Beatles and the Rolling Stones. Remember the initial response to bebop? Avant garde in any genre refers to art (music, literature, painting, whatever) at the outer edge of its universe, but that edge is not static. Ultimately, it seems that everything moves from the outer boundary toward the center as a new wave of “new” pushes out that thin membrane separating inside from outside. Today’s “avant garde” jazz, defined perhaps by such ensembles as the World Saxophone Quartet or Anthony Braxton’s bands, may seem pretty tame and logical in another decade, when sounds we can’t yet make or imagine will then define that outer boundary. Unfortunately another human tendency is to avoid that which is unfamiliar, dissonant, difficult to organize. Hence I rejected Cecil Taylor after one listen. But as with my experience with sushi, I suspect I might have found some appreciation for Taylor and his odd structures had I listened a few more times, and even more likely, had I seen a live performance. For me, nothing in modern music makes as much sense as when I can see it as well as hear it. What start out as foreign sounds become organized and identifiable, when directly observed. 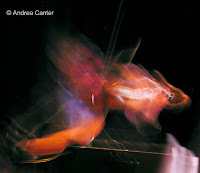 This “I’ll hear it if I can see it” phenomenon was particularly apparent last spring when I attended a performance by Anthony Braxton at the Iridum Jazz Club in Manhattan. Multi-reedist Braxton is one of the legends of outer-edge music, known for assembling groups of unusual instruments that in turn create unusual patterns of sound. Play a recording of Anthony Braxton and you’re apt to turn down the volume quickly as you encounter bleeps, squeals, scratches, shrieks, scrapes….. a cacophony of wild tones, odd rhythms, combinations that redefine dissonance. 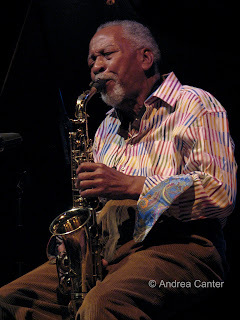 So why would I elect to spend one of my few New York jazz club opportunities at a Braxton show? Simple. I was invited. I met Jim Eigo, who runs Jazz Promotion Services in New York, at previous jazz conferences as well as via email, as Jazz Police is one of Jim’s media contacts for CD releases and a number of jazz club calendars. Jim handles the press for the Iridium and usually goes to the club weekly. When he invited me to hear Braxton, I decided I should open my ears for an hour or so and give it try. I’m still very unlikely to put on a Braxton recording and kick back and listen. But seeing his tentet of mostly young musicians perform a continuous, freely improvised “composition” allowed me to anchor those sounds in the mostly familiar instrumentation that created them, to appreciate the interactions among the musicians, to understand how something as basic as a trombone could create such hair-raising snarls. And often with a great deal of humor. What is funnier musically than a relatively small man surrounded by a circle of saxophones, from sopranino to contrabass? One fits in the palm of your hand and looks like a toy from K-Mart. The other rises about 10 feet from bell to mouthpiece and requires a ladder or raised platform to play. Both tend to be regarded as novelty instruments, and the sheer size and expense of a contrabass sax relegate it to a seldom-heard circus prop. Unless the musician is Anthony Braxton. From the center of his brass galaxy, Braxton rotated from one sax to another as the group composition evolved, each sax giving the desired sound quality for the moment. And when not distracted by his orchestra within the orchestra, there were many sideshows worthy of attention—trombones muted by what looked like serving platters, an alto flute that seemed nearly as long as its master was tall, violins, trumpets, bass and what seemed like rather standard percussion, yet in sum there were no standard harmonies or rhythms. If I had closed my eyes, I would have had little clue as to or who had taken the musical lead, how a certain sound was formed and why it was in tandem with another. Seeing all this in real time, I still cannot claim to understand all that was happening on that stage or why it was so mesmerizing for over an hour non-stop. I would not label most of the music as melodic or tonal or beautiful. It was incessantly interesting and I would not hesitate to attend a similar production again. What years ago seemed simply dissonant often sounds today like fascinating harmonies with their own unique elegance. It’s not for everyone. But if you are innately curious about music and wonder about its outer edges, don’t stop at the first screech. Keep listening. And watching. Like many of us who spend a fair amount of time listening to music, as part of our work or just as part of our daily lives, I often hear a melody or a specific rendition of a tune echoing from my “internal” CD player. Subconsciously, the brain records music and activates the playback button. This is not always pleasant or convenient, but usually I can trace the origin of this “recording” to my initial experience of the music, in live concert, on a new CD. The brain’s selectivity may not always seem rational but it is not random either. When the music runs through my head throughout the day, I know I’ve had a cosmic encounter—with a composer, a performer, an arranger. 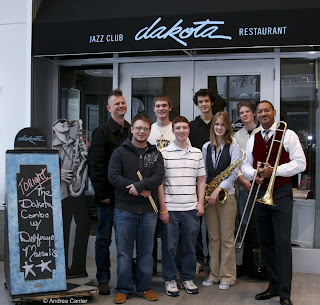 A relatively new project of the Dakota Foundation for Jazz Education and the Minneapolis-based MacPhail Center for Music, the Dakota Combo is one of a number of area programs that fuel the future of jazz, not just locally but on a national level as well—“graduates” of programs such as the Minnesota Institute for Talented Youth (MITY) jazz band, Minnesota Youth Jazz Band, Walker West Music Academy, Twin Cities Jazz Workshop and MacPhail, as well as area high school jazz bands and the first alums of the Dakota Combo, have moved on to the Brubeck Institute, Berklee College of Music, Manhattan School of Music, Oberlin…..and to careers in New York as well as closer to home. In its second year, the Dakota Combo holds auditions and begins a series of rigorous rehearsals under Kelly Rossum’s guidance, preparing for a truly professional gig on the weekend, prime-time stage of the Dakota Jazz Club, with additional performances and school visits planned. For many of these musicians, all veterans of school bands and elite summer programs like MITY, the Combo offers the first significant opportunity to work with a small ensemble, where improvisation, soloing and arranging rapidly accelerate their development as jazz artists. An important component is the guest artist, who comes in for intense rehearsal, a public student clinic, and the featured performance. Delfeayo Marsalis proved to be an ideal guest, engaging a large group of mostly middle school and high school student musicians in a Saturday morning clinic and taking the sextet through a constructive critique. I observed the Friday afternoon rehearsal, about a month after sitting in on an early rehearsal at MacPhail. I remembered Jake from the first rehearsal—I had not heard a young trumpeter with such a confident, clearly articulated tone. Now, on the eve of the Combo’s big gig, Delfeayo took the students through much of the planned program, including “Sleepytime Down South,” Jake’s featured solo. It seemed to go well but Delfeayo felt the final chorus needed work. Jake probably ran through a dozen variations of embellishment, each sounding more interesting and more majestic than the last. Wow, what is this going to sound like tomorrow night? Already, my internal recording studio would welcome the work of any of these musicians. And soon, I’m sure we will be hearing from them in a more public forum. Jazz is alive, and will remain vital as long as young musicians, and the programs that support them, thrive. 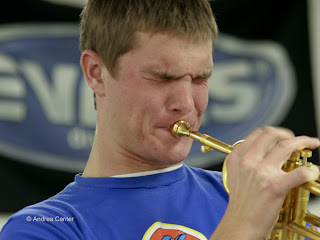 Photos of Jake Baldwin and of the Combo by Andrea Canter. In the past year or so the accordion has been haunting my jazz listening. Yes, the resurgence of hot club music (aka “gypsy jazz”) has created a lot of work for local squeeze box talents, notably with the Parisota Hot Club and Café Accordion. But the accordion is also popping up (bellowing out?) in mainstream modern jazz and the avant garde. Gary Versace, not content to handle the common keyboards, brought along the accordion for his gig at the Dakota with Matt Wilson’s Arts and Crafts last winter. Curtis Stigers’ latest recording features Larry Goldings on accordion on several tracks. The Walker Art Center’s World Jazz series recently featured Norwegian accordionist Froda Haltli, who shattered all remaining stereotypes about the instrument, using it as his own personal orchestra that pretty much negated the need to involve his cohorts on clarinet and Hardanger fiddle, although they came along in the back seat for some added color and intrigue; more involved with often peculiar results was vocalist Maja Ratkje, who seemed to compete more than complement her husband’s accordion. I have determined that the accordion is an instrument that defies analysis by the uninitiated listener or observer. That means I can’t figure out how it produces all those sounds simply by watching and listening. I think I need a dissection kit, an x-ray, or at least a hands-on version of Show and Tell. It would be easier if all accordions looked alike. They don’t. Some have keys like a vertical piano. Some have rows of buttons that look like sheets of those “dot” candies we used to get at the corner grocery in the 60s. Some have both keys and buttons. It seems that the two hands operate somewhat like those of a pianist, left hand comping and right hand zipping out the melody. But does it really work that way if there are only buttons and no keys? Then there’s the bellows—clearly the compression and release of air allows the sound to soar and change direction, but is there any sound if the bellows are still? Actually I find the design and décor of the accordion as interesting as its sounds. I remember the French accordionist who accompanied Dee Dee Bridgewater a year ago when she brought her Paris project to the Dakota. Simply, it was a beautiful object. It belonged in a museum with its intricate design. 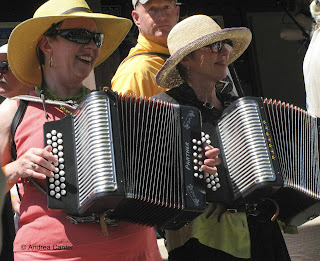 In August I happened to be visiting a friend north of San Francisco when we learned that it was the weekend of the famed Cotati Accordion Festival. Cotati is a small town near Petaluma, a bigger town not far from even bigger Santa Rosa. Santa Rosa is known as the home of cartoonist Charles Schultz, and Petaluma is the home of the mythical Daisy Hill Puppy Farm, the birthplace of Snoopy. But Cotati—it’s the home of a mammoth accordion festival that draws a few thousand every year for a weekend of nonstop accordion gigs, instrument displays, and a large polka tent. Barbara and I decided it would be a fun way to spend an afternoon even though neither of us had any real knowledge or even much interest in the accordion per se. And it was fun—we heard 14 accordion enthusiasts join together to play “Lady of Spain.” There was a young man from (maybe) Vermont who made the polka sound halfway exciting, but was even more adept at the trumpet. And there was Tony something or other, apparently a very big name in the world of traditional accordion, who offered a set of Italian swing. The polka tent was the scene of action from morning til midnight but the two accordionists in that venue looked bored compared to the enthused dancers. There were several displays of accordions—maybe hundreds of accordions. Red ones, white ones, black ones; accordions with fancy keys and colorful rows of buttons. Little boxes and large ones that looked impossible to support without straps and O rings. It was the accordion’s answer to the Minnesota State Fair. Jazz is not dead. In fact, for some of its finest purveyors, jazz is not only alive but it seems to ensure their personal longevity. Recently I came across an article about Marian McPartland, soon to celebrate her 90th birthday. The Britain-born pianist has been broadcasting her acclaimed “Piano Jazz” series for nearly 30 years on NPR, a series of interviews and duets with a diverse list of guests from Oscar Peterson to Steely Dan. 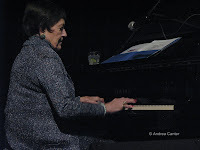 Not content with radio performance, Marian still can be seen live on stage, noting that even her arthritis seems to disappear when she touches the keyboard. And throughout her career, Marian has been known for her long-standing committments—an 8-year run at the Hickory House in New York, over 50 recordings for Concord and, of course, the longest-running program in NPR history. A few months ago I attended a concert by the Dave Brubeck Quartet at a small theater in Santa Rosa, California. The 87-year-old pianist has outlived his original quartet, but has now been working with this current ensemble for over a decade—already a longer-standing collaboration than most groups working in jazz today. On this occasion, Dave had a slight limp, the remnant of a leg infection earlier in the year. But there was nothing slight about his music which has retained all of the beauty, all of the invention and most of the speed that has defined his career. And he entertained his audience with a few stories about his recent gigs, situations where the feats of an octogenarian pianist had apparently startled the critics. So perhaps did the release of a new recording a few weeks earlier. In New York recently I saw performances by the Roy Haynes Quartet and the Jimmy Heath Big Band. Roy’s “Fountain of Youth” band is aptly named, not only for the three 20-something musicians who Roy has nurtured into one of the tightest small bands in modern jazz, but for master Haynes himself who, at 82, knows no limits to time, in tempo or in life itself. Jimmy Heath had just celebrate his 80th but, on stage, saxophone in hand and leading a large ensemble of largely up-and-coming New York musicians, he was a brash and exuberant leader who dared the youngsters to keep up with him. But perhaps the most amazing story of survival in jazz is that of another, much younger Peterson. This past weekend, Jeanne’s daughter Patty celebrated a special birthday with a gig at the Artists Quarter, the singer backed by mom on piano and brother Billy on bass. Nothing unusual about that, and Patty told the audience that this was not one of those “big birthdays,” the ones that end in a zero and make us shudder and count the new wrinkles. For Patty, this birthday was the miracle, the one that followed the ruptured aorta last February. Few survive such a medical catastrophe. John Ritter didn’t. Patty somehow managed her own 9-1-1 call. The fact that she lived to celebrate another birthday was remarkable. The fact that she was singing on the Dakota bandstand four months later was mythical. She sounds better than ever. Jazz, and music in general, has survived many challenges in terms of adapting to changes in culture and technology, finding an audience, and attracting new pools of talent. Jazz musicians, as well, have survived many challenges to their longevity—the “ordinary” battles of mortality, the fatigue and frustrations of travel, the ups and downs of self-employment, the struggle to maintain chops as years of use and abuse accumulate and, for a disproportionate number, the tragedy and displacement of Hurricane Katrina. Yet jazz historically has been about surviving and rejoicing. As consumers, we used to dance to the music; now we sit back and listen, as Ornette Coleman said, “dancing in our heads.” For those who make the music, it’s hard to tell if it is their survival keeps jazz alive, or if it is the music that prolongs their survival. Surely music keeps the planet spinning. “Bridging the gap” implies a dichotomy, a wide DMZ of Atlantic Ocean separating continents of European and American music traditions. Yet from early days of jazz, European music and audiences have influenced jazz, from the army bands of James Reese Europe (living up to his name?) playing for the Allies during World War I to the influx of young modernists like the Swedish trio of Esbjorn Svensson and company (E.S.T.). Listen to the orchestral works of Gershwin and the majestic suites of Ellington and it is clear that European music was not far from the minds of the greatest composers of 20th century “jazz.” Decades later, Maria Schneider is creating a substantial body of orchestra works that have direct lineage to Ellington, melding forms and harmonies straight out of western classical traditions with the swing and improvisation of New Orleans, Africa and the Caribbean. In the past week or two, I’ve heard a lot of music that may not meet Schuller’s definition of Third Stream yet clearly flows from related sources. 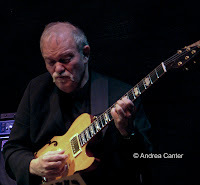 The John Abercrombie Quartet (at the Dakota), and particularly violinist Mark Feldman, presented engaging compositions that alternately soared and buzzed, a fusion to be sure, but a mélange as strikingly classical in harmonies as it was jazzed and beyond in meters and deconstructions. Part of the Walker Art Center’s New World Jazz Series, Norwegian accordion master Frode Haltli—with partners on clarinet, Hardanger fiddle and voice—created an innovative weaving of Scandinavian folk and free jazz that at times strangely (or not so strangely) evoked Grieg. 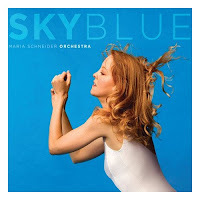 And playing this week in the car stereo, I continue to marvel at Sky Blue, Maria Schneider’s latest Artist Share release that deserves “Jazz Symphony of the Year” status—a tapestry of western hymn, big band arrangement and deep south blues, as well as Fantasy, in which the Bill May’s Inventions Trio creates inspiring collaborations for piano, flugelhorn and cello, building classical harmonies with post bop rhythms. I grew up hearing classical music, probably from the womb. My parents tell me that Schubert was spinning on my little record player as a toddler. I never deliberately moved away from Beethoven and Schubert, in fact I have held season tickets to the famed Schubert Club series for at least 30 years. But as my ears turned more and more toward jazz, I found myself growing more restless at a chamber recital. Wouldn’t that etude be more fun with some improvisation? Why can’t that pianist veer off that so-familiar-it’s-trite melody and rework the chords into something new? Once in a while I’ve heard a classical artist come pretty darn close to these fantasies. A few years ago, Alpin Hong*, an amazing young pianist, took a detour in the midst of a classical recital at the University of Iowa, ripping through Rhapsody in Blue with more inventive spirit than I’d encountered with any “jazz” pianist. But of course Gershwin begs to be jazzed. Maybe the vocabulary of jazz is as much a function of the listener as the performer. 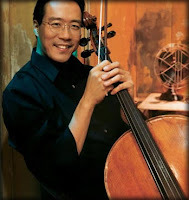 Tonight I heard (for maybe the fifth or sixth time) the great cellist, Yo Yo Ma. Yo Yo of course is known for an eclectic repertoire, and the program tonight at Ordway, marking the Schubert Club’s remarkable 125th anniversary, was as eclectic as Schubert Club can be—Schubert (of course! ), Shostakovich, Astor Piazzolla, Esberto Gismonti, and Franck, plus encores that included a snippet of Gershwin’s Prelude in F. Probably no other classical artist would even think up such a program. But on the surface, this was a more classical recital than I expected. Rather than the Brazilian choro music hinted at in the program notes, the Gismonti sounded much closer to the Shostakovich than to the Piazzolla; the Piazzolla (Le Grand Tango) was so thickly layered it seemed more symphonic than tango. So what did I hear? The Schubert (Sonata in A Minor) is filled with theme and variations, and if not spontaneous improvisation, it surely hints at what could be the foundation for some off-the-cuff play. The middle movements of the Shostakovich (Sonata in D Minor) had the unexpected turns and twists of bop masters, and Yo Yo and his marvelous pianist, Kathryn Stott, while undoubtedly sticking to the script, conjured considerable spontaneity in their exchanges. And shortly after the initial passage of the Franck (Sonata in A), I was struck by the similarity of its melodic structure to the earlier Schubert. Ah-hah, the Schubert was in A minor, the Franck in A—but the early segment is definitely minor. My jazz brain shouted “chord changes!” I don’t really think Franck based his themes on the chord changes of Schubert. But give a jazzed ear the notes within the same key and something happens, a connection is created even if there is no intention. What else? Surely everyone noticed that throughout the Franck, particularly in the third and fourth movements, themes from earlier sections are recalled and revised. Jazz was born from many sources, East and West, Europe and Africa, and the New World. Sometimes we overlook the thread of the European tradition. But these threads run both ways. Schubert and Franck, of course, did not live to hear the sounds of jazz. But who knows what Dimitri was listening to in 1934? *Alpin Hong, by the way, in addition to extensive touring, curated an artist-in-the-schools program in Harlem titled “Kitchen Sink Music After School,” and enjoys skateboarding and snowboarding in his spare time. Next time I hear him, I fully expect a reharmonization of Brahms. Somewhere between a Bach Partita and an Aaron Copeland symphony, with whiffs of Stravinsky along the way, lies the violin of Mark Feldman, the secret weapon of John Abercrombie’s quartet. 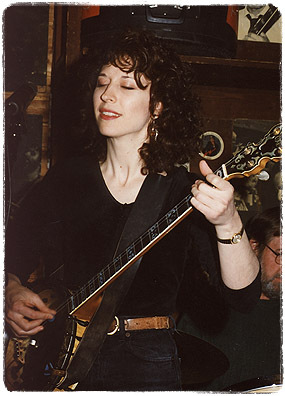 Mistakenly dubbed The Third Quartet (the title of their most recent CD, not the name of the band), this is a foursome that defies classification, crossing genres in mid-verse and weaving back and forth among forms, tempos and harmonies without losing their way or the rapt attention of their audience. The late set at the Dakota was reasonably well attended for a chilly Monday night, and a quick look around indicated that the crowd included a number of local musicians—always a good sign. Yet I doubt many were prepared for the depth and diversity of the music, each piece its own world of sound and texture, neoclassical here, bluesy funk there, now downright country. 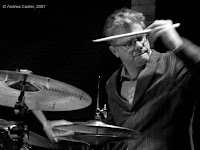 Drummer Joey Baron directed the choreography with graceful sweeps of sticks and brushes, letting loose with a flurry of staccato pops only at a few key break points; bassist Scott Colley seamlessly switched from arco to pizzicato throughout the set, taking an extended doubletime solo in the finale; leader and guitar master Abercrombie was sublime from start to finish. But the show belonged to Feldman, if not by design then by sheer virtuosity. If Heifetz had only stumbled upon Ornette Coleman or even Coleman Hawkins….but more likely even he would have yielded the bandstand to Mark Feldman. I wouldn't mind hearing his take on Bach. You’d think after four days of jazz in Manhattan that I would be ready for an aural vacation. Not at all. Sometimes I think that the experience of the modern era’s epicenter of jazz (and perhaps most other things cultural and gastronomic as well) enhances one’s sensitivity to future encounters. I can hear one great band after another in New York and return home to the Twin Cities primed for even more. Fortunately in the past ten days, neither the Big Apple nor the Mini-Apple fell short. · Geri Allen, with her trio and special guest, tap dancer Maurice Chestnut. Allen proves that women can command as much power at the keyboard as their male counterparts, and the additional element of tap provided a visual component to improvisation, as young drummer Kassa Overall engaged equally young Chestnut in multi-media “trading fours” breaks. 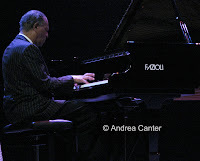 · McCoy Tyner Quartet. If the great McCoy—percussive and rhapsodic as ever--wasn’t enough, consider the polyrhythmic pulse and dynamic contrasts of drummer Jack DeJohnette and the ever-surprising acoustic bass of Stanley Clarke, joined tonight by the soaring alto and soprano sax of Gary Bartz. · Pat Martino Quartet. By the last set, the music was nearly 90 minutes behind schedule, but who was leaving? One of the modern monsters of jazz guitar, Martino kept us all awake with help from the marvelous Rick Germanson on piano, Paul Gill on bass and Scott Robinson on drums. Germanson mentioned he was not thrilled to follow McCoy Tyner but this frequent visitor to the Artists Quarter had no reason to worry. He has his own sound and deserves the spotlight. The rest of the two-day event was hardly hit and miss—several ensembles from the Manhattan School of Music, modern romantic saxman Don Braden, the always-exciting and inventive Frank Kimbrough, the choreographer of bass, Avery Sharpe, the dynamic and timeless Roy Haynes and his young lion quartet, the effervescent Womens Work Quartet led by Judi Silvano, the avant creativity of young singer/composer Katie Bull, the global grooves of Ralph Ravello’s Intercontinental Express… And then there were my two club nights that bookended Jazz Improv: a truly magnificent big band tribute to Wayne Shorter, led by David Weiss and featuring Wallace Roney at the Iridium; and Steve Turre’s “Keep Searching Ensemble” featuring vibist Stefon Harris and the unique Akua Dixon, who plays a mean jazz cello and sings a down and dirty blues (not at the same time!) on stage at Dizzy’s Club Coca-Cola. There’s never too much jazz, wherever you live or wherever you visit. 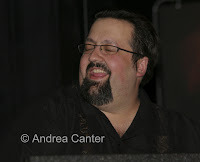 I never cared for jazz organ until the first time I heard Joey DeFrancesco live. Somehow that Hammond B-3 just made me thing of baseball stadiums. But Joey—he coaxed so many different sounds from that big brown box, from piantistic phrases to all-out moaning assaults to melodic smears that conjure horns. He never reaches bombastic and often delivers it “soft and mellow.” I try to get to his gig whenever he’s in town, which is usually once per year. We were lucky in 2007 as he was scheduled to play at the Winter Jazz Festival in St. Paul—the event that had to be cancelled at the last minute due to some catastrophe with the heating system in the temporary music tent. But jazz is about improvisation and the nearby Artists Quarter provided a venue for some of the musicians, including Joey and his trio. And they stayed in town long enough to come back to the AQ to perform with the Tuesday Night Band—our local organ trio. He’s a big man, but his talent is bigger still. Dee Dee Bridgewater, who has transformed herself as a singer several times already, has claimed her African roots and in the process has affirmed her musical identity as one of the most dynamic, and honest, purveyors of modern jazz. 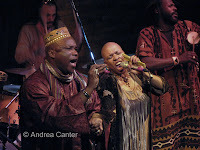 Visit her website (www.deedeebridgewater.com/) and read her own account of her journey to find her ancestral home in Africa, identifying a rich legacy in the red earth of Mali. From this reconsideration of life and heritage, Dee Dee discovered within herself, and within the music and culture of her spiritual homeland, stories that begged to be told in the tradition of the “griots” – the storytellers. And who better to tell their stories than the incredible musicians she met in Mali? The resulting recording, Red Earth: A Malian Journey, as uplifting as it is, pales in comparison to the live performance that Dee Dee brings to American audiences through a limited tour this fall. One stop on this tour was the Dakota. It’s not by chance that the Minneapolis club is one of very few venues of any size to host Dee Dee Bridgewater’s trio and the six Malian musicians that form the touring Red Earth ensemble. There’s mutual admiration among Dee Dee and Dakota co-owner Lowell Pickett, and as she mentioned several times during the closing set last night, the band was well fed by chef Jack Riebel. By the time I checked in for the late set on the second of the two-night gig, Dee Dee and company had just finished a 90+-minute opening set that was described as “amazing” by exiting patrons. Similarly her opening night sets had been labeled “incredible” by several who had returned for another dose. I had been listening to the new CD and thought I was prepared for the showcase of blazing new interpretations ("Afro Blue" was in fact the title track of her first recording 30 years ago) and original compositions. Of course (usually) there is no comparison between live music and even the best recording. What distinguished the late set--besides the energy that sustained our rapt attention for nearly 2 ½ hours --was the communication between musicians and audience of a transcendent joy, a pure love of life and music that bridged class, culture, race, language and generations. Herself in the role of the village griot, Dee Dee told of her journey and self discovery in Mali, gave little lessons in the history of African music, and introduced us to the artists on stage who were performing for the first time in the U.S. Their instruments—the forerunner of the harp (the kora), the granddaddy of the xylophone (balofon), congas of all sizes―were as intriguing as their stories. Dee Dee and I are the same “certain” age. I was exhausted after standing and clapping during the finale, a seismic uproar that enticed a line of the young and not so young to come up on stage to bump and whirl. Dee Dee was barely breaking a sweat after two long back-to-back sets of singing, dancing, and teaching. Maybe she slept on the flight to San Francisco where the next stop is the Herbst Theater. As for me, I was too energized to sleep. The more I learn about jazz, the more I am impressed that anyone can play this music well! All musicians have to deal with a common set of skills—understanding the mechanics of the instrument, time, rhythm, scales, etc. Reading music may not be mandatory but it is certainly an expectation. I took piano lessons for a few years and I could read music and pretty much put my fingers on the right notes at the right time, at least if I went slowly enough to coordinate what I read with what notes I touched. And after a while I could simultaneously play one set of notes in my left hand and the corresponding set of notes in my right hand. Reading, left, right, sometimes a little push of a pedal with a foot… that was the extent of my multi-tasking. And the results were not too promising. Look at a jazz musician. Reading or remembering the melody. Reading or remembering the chord changes. Often transposing the key on the spot without a crib sheet. Then there’s improvising—recomposing with infinite variations in response to the variations of the other musicians on the bandstand as well as in response to the feeling of the moment. Keeping the form, melody, rhythm, tempo in mind at all times. Coordinating at least two and maybe all four limbs that might each have a separate game plan! Just watch a jazz drummer—left leg pumping on the hi-hat; right leg on the bass drum; left hand beating out a pattern on the snare while the right hand alternately taps the tom-tom and ride cymbal….. whoa, how did he hit the cowbell? The toes are doing what while the heel is doing what? 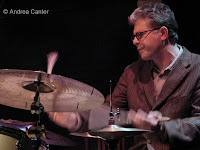 I am convinced jazz musicians (and drummers in particular) have brains constructed of multiple lobes that operate independently, yet in concert, with each other. Is this anomaly present at birth or does the jazz brain mutate over time? I don’t know but I wonder if Microsoft has ever analyzed the neuro-circuitry of a jazz musician. There’s a blueprint for some pretty amazing software between jazz ears. I brought ear plugs to the Pat Metheny Trio concert at Minnesota Orchestra Hall (October 14th). Metheny’s tour took him to Iowa City earlier this week, and my octogenarian parents lasted about twenty minutes. They reported that the hall's sound level measured 95 db, and even at the rear, it was too much for them. So I came prepared. Metheny, one of the living legends of jazz and fusion guitar, played the first three tunes solo on three different acoustic guitars—a standard classic style body, a baritone guitar (a bit longer in the neck I assume), and a double neck, hollow-body ax with maybe 40 strings in multiple directions that looked like a fantasy of Leonardo DaVinci. But then the electric gear came out, along with Christian McBride on bass and Antonio Sanchez on drums… and after a few chords the ear plugs were in place. I have given up trying to understand the level of amplification common to large music halls that otherwise have excellent acoustics and, with classical orchestras and chamber groups, good sense regarding decibel levels. Musicians blame sound engineers and sound engineers claim they only follow the directions of the musicians. Ears protected, I really enjoyed the two-hour set, diverse in tempos, rhythms and soundscapes, from modern post bop to fusiony grooves. By the end of the evening, Metheny had pulled out no less than five guitars—the acoustic menagerie noted above, an electric hollow-body and an electric solid body, the right one at the right time thanks to Metheny’s guitar valet. Sanchez appeared at times to have a third leg, with at least five and maybe six different pieces of apparatus engaged simultaneously. I wondered if the guitar valet had crawled behind the trapset and was surreptitiously working the hi-hat. Apparently Antonio’s toes went one way and his heel another. 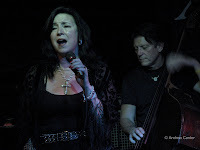 McBride, definitely at the top of the heap of his generation of bassists, thankfully played acoustic on all but one tune, and it was a virtuosic display of melodic, high-speed artistry. His duet with Metheny on “My Romance,” the only cover tune of the program, could be the foundation for an elegant recording. Ear plugs—I highly recommend them, at least when jazz comes to Orchestra Hall. My friend Pamela posted a brief retort to Dara Moskowitz's odd review of my favorite neighborhood restaurant, Cafe Ena, and I have to underscore her comments as well as our utter disbelief at the City Pages review, which ran about a month ago. I don't expect everyone to like what I like in food any more than in music. But I rarely read such a diatribe in the press. And usually I have either agreed or at least understood Dara's restaurant reviews. Not this time. Not only was she dissatistifed with most of the offerings at what she reported to be multiple visits, she closed her review with a sarcastic putdown of the huge following this new restaurant has acquired over its first six months, noting that "if you think you are going to have a good time at Cafe Ena, you probably will." Well, Dara, if you think you are going to have a BAD experience at Cafe Ena, you probably will. Something must have been amiss on her first visit and the rest were doomed by attitude. I am not a four-star chef although I like to think of myself as a discerning, four-star eater. I get around and I get out (too often! ), in the Twin Cities, in Chicago, in New York, in New Orleans, in San Francisco..... this Iowa Girl is not a slave to hot dish and beanie weanie. Cafe Ena opened two blocks from my house but convenience would not keep me returning. After all, I am also in walking distance to Corner Table and the Grand Cafe, and only 5 minutes from downtown Minneapolis. I am not in need of such enticement down the street. But since opening week last spring, I think I have had dinner at Ena at least a dozen times and lunch at least as often. Consistency, as well as great ingredients and interesting combinations of tastes, marks an outstanding restaurant, and Ena is not only outstanding in those respects, it is very reasonable. Most of the entrees at dinner are under $20. And as much as I am trying to work my way through the menu, the specials keep derailing my progress. I could wax eloquently about the tasty, smoky chicken arapas (thin little corn cakes smothered in mildly spicy ambrosia) or the sweet salmon croquettes or the always zippy ceviche on the appetizer list, or any of the pork and seafood dishes that grace the entrees. But let me just mention that the coriander crusted salmon atop a bed of artichoke hearts surrounded by crispy slightly sweet plantains with a sauce I can only swoon over is the single best seafood dish I have had in the Twin Cities, and maybe anywhere else save some fresh-from-the-water oysters I once enjoyed on Willapa Bay in Washington. My waiter that night confided that he always orders this dish when he is working at Ena. So would I.
Dara, put on a happy face and try again. One of the hallmarks of jazz relative to most other genres of music is spontaneity—what makes jazz “jazz” is not only swing and improvisation, but the “in-the-moment” interactions among musicians, and among a soloist and the audience. Thus the saying that “jazz is never played the same way once” (and who said that? I forget!) – it isn’t fully planned ahead (if at all) and there are no re-runs. Yet I read an article from the LA Times about a new technical marvel that will allow Art Tatum to re-record his 1933 masterpiece, “Piano Starts Here.” Isn’t Tatum long dead? It seems that the copyright holder, Sony BMG, has called on a North Carolina company, Zenph Studios, to digitally translate not only Tatum’s notes but his style—how he struck the keys, moved his fingers, worked the pedals….characteristics that modern technology can analyze and supposedly recreate with precision. Notes the Times, “the result, if all goes right, will be a new CD that replicates the original performance, in stereo and higher fidelity.” So hang on jazz fans, soon we can hear Louis Armstrong’s “West End Blues” or the voice of Bessie Smith without scratch and hiss. Virtual re-issues might be the next big thing on the record market, and surely this will revive jazz sales! I guess I can see some merit to this Brave New World—it would be nice to listen to Tatum’s flying fingers unfettered by the relatively poor recording science of his day. What would Armstrong sound like if he had recorded his 1920s squeals and shouts without the additional hiss and crackle of early high fi? But early recordings not only captured the blemishes of primitive audio engineering, they also captured the way the sound was delivered to mesh with that technology—singers shouting into the recording horn long before microphones allowed wax to capture nuance, sound layers dictated by where the musicians stood in the studio. Recreating those performances in modern digital stereo would indeed produce a great sound—but would it be the sound of King Oliver’s brass band or the Benny Goodman Orchestra? Would this Zenph-ified music be jazz as intended or a translation out of context? Neither Tatum nor Armstrong would have considered regurgitating an earlier performance. The hallmark of jazz is not the ability to improve on the past, but to continuously move beyond it. Technology should help us create new ideas, new sounds. Leave the recycling to newsprint and tin cans. No, I am not in Los Angeles and I don't subscribe to the LA Times. For a sampling of news about jazz from around the world, I check out the weekly E-news from www.jazzinstitut.de – as they say, “we read the newspaper for you.” Consider signing on for this free service if you just can't get enough jazz locally. You’ll receive an email with highlights of jazz related article from the world’s press and links to the full articles… not always in English! I admit I have become a jazz junkie, not just in terms of listening to the music but reading all things jazz and looking for opportunities to become jazz literate. Last spring, the MacPhail Center for Music and Minneapolis Public Library offered a six-session overview of the history of jazz ("Looking at Jazz"), which drew 100+ to most of the sessions. The "students" ranged from middle schoolers to seniors. For the fall semester, MacPhail announced "Jazz 101," a 12-week course on understanding jazz in an historical context, taught by acclaimed trumpeter Kelly Rossum--who not coincidentally was the curator of the Looking at Jazz series. Seven of us, ranging in age from 30-something to 60-something, sit in old fashioned wooden school desks in a small classroom at MacPhail, trading ideas and challenges to those ideas with each other and with Kelly. Six of us know each other fairly well and in fact plotted to register for the class to ensure it would not be canceled. But our common agenda really is to learn as much as we can from a master teacher who lives and breathes jazz 24/7, both as a performer and as a committed educator. We arrive early like eager 7th graders discovering astronomy or biology, and we leave an hour later, all too soon...so like the adults we really are, we take our questions and our arguments down the street for another hour of coffee or beer. This is better than college--the "homework" involves reading about our passion and listening to the music; there are no midterms or final exams; we aren't competing for grades. The only real stress is trying to remember all that we hear. Now I eagerly await my next live jazz outing--can I identify the form of the tune? Can I differentiate jagged rhythms from polyrhythms? Do I notice the different sounds between the ride and crash cymbals? Cool! Jazz education should mean more than including jazz in our public schools, establishing summer jazz camps and funding scholarships to Berklee-although of course these are essential programs. But to keep music (and jazz) in our schools and to encourage our students to follow their dreams, our communities must understand, appreciate, and support jazz as part of our culture. That means not only introducing young children to jazz, but encouraging adults of all ages, and particuarly those not already involved in music, to learn about and hopefully enjoy jazz as an informed audience. When our communities are filled with voters and advocates who are at least familiar with jazz, then the future of this music will be secure.